As a psychotherapist, I find that if people want to make changes in their lives, they need to see what doesn’t work in their lives and where there might be some part of themselves that is sick or ugly. Often change comes about through experiencing pain and being courageous enough to face dark truths about ourselves. The gift – and I really mean gift – that Donald Trump is giving America is that he is continually holding up a mirror to his country of an aspect of its own wounded, pathological, narcissistic and heartless psyche. Note I said “an aspect” of its psyche not its whole psyche. 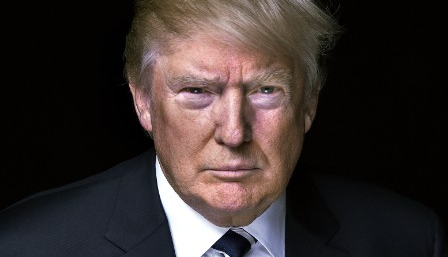 There is much about the American character that is also noble, wise and visionary, but Trump represents something that is very, very ugly and by his continuing to remain in the news with all his stupidity and hostility, he is continually reminding his country of this fact and as such is actually doing a very great service. My hope is that Americans will stop projecting their shadow onto him and start taking responsibility by looking inside themselves and recognising certain Trumpian features inside themselves. Viz., the mindset that went to war in Iraq, that is violent, dumb and obsessed with guns. This self reflection is something which the Republican party in particular needs to do. Above all, it needs to ask itself: what has happened to its soul that has made it deviate so far from those noble ideals which initially gave it birth and has thus resulted in its having created this Frankensteinian monster to represent it. Thomas Mann, in one of his novels, made a character say: If a way to the better there be, it lies in our taking a full look at the worst. I hope Americans are doing this.